Perhaps the most important and recognizable part of your kit are your gloves. It is important for various punching exercises and drills. Get yourself a nice pair of training gloves with ventilated foams to keep your hands cool and safe. Hand wraps ensure the safety of your wrists. They protect wrists from any kind of bruises or injuries. 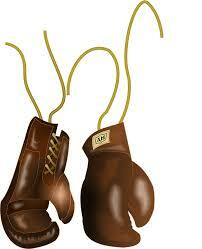 Always ensure that you wear them on your hands before punching any bags or even before fights. Many of them come with velcros which makes it easier to put on and adjust. Punching bags are important for improving the attack and accuracy. A heavy one is better than light ones as your intensity will increase with time and lighter ones won’t be able to stay rigid. Buy a heavy one that will last long and get it filled by medium or heavy density material. If you are not going to hire a professional trainer, a focus mitt should be high on your priority list. Mitts help to train for combination of moves, speed, accuracy, and defense. You and a training partner can take turns holding the mitt for another and train your way through to master various combinations. Hard and wrongly placed punches, especially at the beginner level can harm the face and body of you or your partner. Mouth guards and body protectors are to prevent this from happening. While sparring or training fights, you will need them to prevent injuries and investing in it is therefore a good idea.